Once exclusively the domain of large enterprises, access control systems have been making the jump to the small business market in recent years. There are several factors that account for this. Small businesses that previously invested in a video surveillance solution are beginning to see access control systems as the next logical step in a comprehensive security solution, which itself has shifted from a luxury to a necessity in any business endeavor. New technology has made comprehensive security solutions available to businesses of all sizes, and access control is an important component. 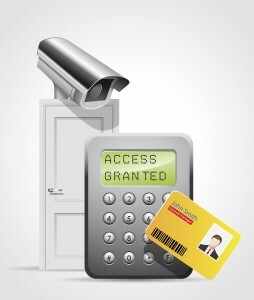 Previously, access control systems required expensive, proprietary installations. New wiring had to be run throughout the building, and complicated access control panels had to be installed. Businesses would have to train dedicated security personnel in the use of these systems, which were often clunky and not user-friendly. Networked access control systems are taking the old concept of access control and turning it on its head. Utilizing the same technology that revolutionized video surveillance, networked access control systems take advantage of existing IP networks in a business’ infrastructure. This results in a number of solutions that meet the security needs of today’s small business. Whereas older access control systems were one-size-fits all affairs, networked access control systems can be designed with the individual user in mind, leading to a customized solution that works for the individual logistics of a facility. Because networked access control systems use existing IP networks, installations aren’t large scale operations, making them easier and more affordable. If the access control systems of yesteryear taught us one thing, it’s that ease-of-use is paramount in the performance of an access control system. New systems are designed with the user in mind, with intuitive software that even personnel who are not dedicated to security can learn and use. Mobile access is increasingly in demand in a world where almost anything is just a few taps away on a smartphone. Many etworked access control systems are accessible and controllable via mobile apps, making them more versatile and more effective. This entry was posted on Wednesday, October 1st, 2014 at 6:01 pm. Both comments and pings are currently closed.